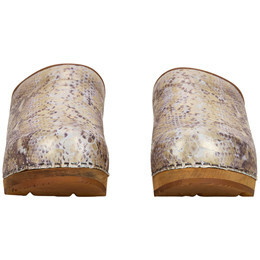 Do you want a fashionable clog on a wooden sole? 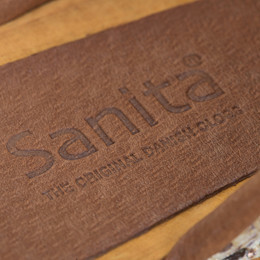 When you buy a Sanita Yda clog, you will get a modern clog in the best quality of the market. 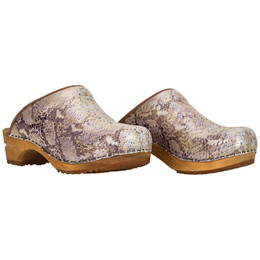 The clog is designed in rosegold metallic snakeskin leather to give a modern look. The upper is clamped on a sole of lime tree.